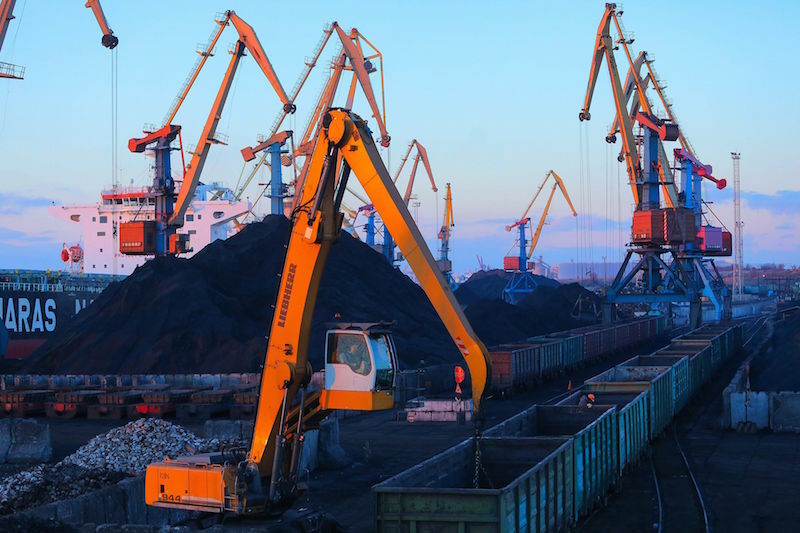 According to the results of 2018, the state company “Sea Commercial Port “Yuzhny” increased the cargo turnover to 12,3 mt. The company handled 730 thous.t (+6,3%) of cargo more than in 2017. 70% of the total volume made up the export of iron ore, metal products, grain cargoes and products of their processing, 20% made up the import of coke and thermal coal, 10% - transit cargo and cabotage. The port accommodated 212 vessels, a quarter of which was large-capacity vessels with DWT of more than 175 thous.t. In 2018, the state company accommodated 212 vessels (+22 compared to the figures of 2017) of different capacity, half of which was bulk carriers Capesize (26%) and Panamax (24%). The bulk carrier NETADOLA was the largest vessel. It was loaded with the record volume of iron ore – 206 450 t.
“I am grateful to the employees for their work and I am sure that 2019 will not disappoint us. We are underway to modernize handling operations in order to increase speed and quality of the cargo handling. We plan to purchase new handling equipment and machines, to introduce modern cargo handling technologies in certain areas, to boost the production capacity and to expand storage areas. We are about to go on increasing cargo turnover and providing our clients with high-quality and competitive services”, - said Anatoliy Yablunivskiy, acting director of Sea Commercial Port “Yuzhny”.